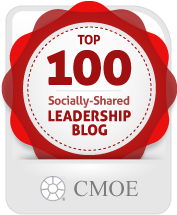 How can leaders use their own personal energy to harness employee engagement? How are energy and engagement intertwined? How can leaders build a culture of engagement in their organization? These questions are being explored over at Karin Hurt’s blog Let’s Grow Leaders. This month, she offers up over 25 essays from leadership writers, consultants and thought leaders in Frontline Festival: Energy and Engagement. The September Festival is on Leadership Development (a favorite topic of mine!). Submissions are due September 13th. Send your links to letsgrowleaders <at> gmail <dot> com. Karin- happy to help! And yes, one of the best things about blogging is the chance to meet new people and hear their unique perspective on the world of leadership. Thanks for all you do in support of leadership blogging; your Frontline Festival is wonderful.